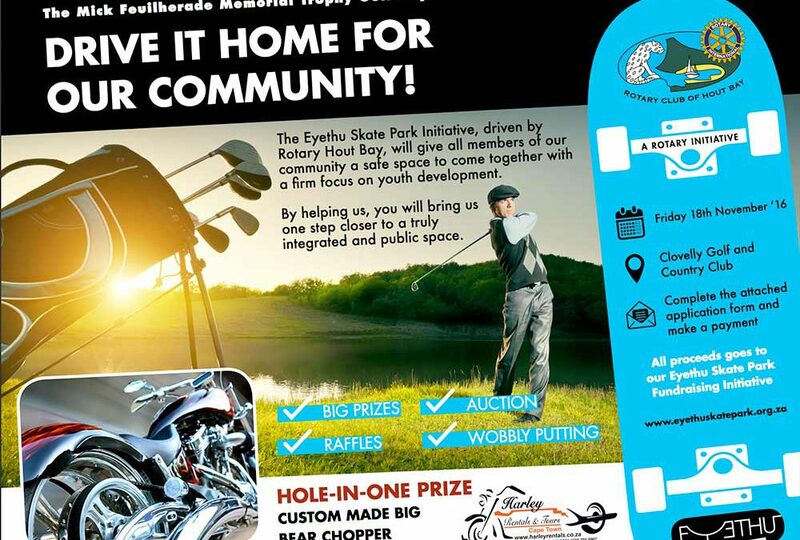 The Eyethu Skate Park Initiative, driven by Rotary Hout Bay, will give all members of our community a safe space to come together with a firm focus on youth development. By helping us, you will bring us one step closer to a truly integrated and public space. See the forms below to enter the fabulous Golf Competition on Friday 18th November 2016. Great prizes can be expected.